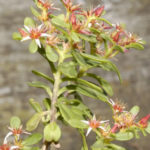 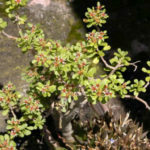 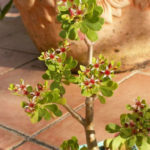 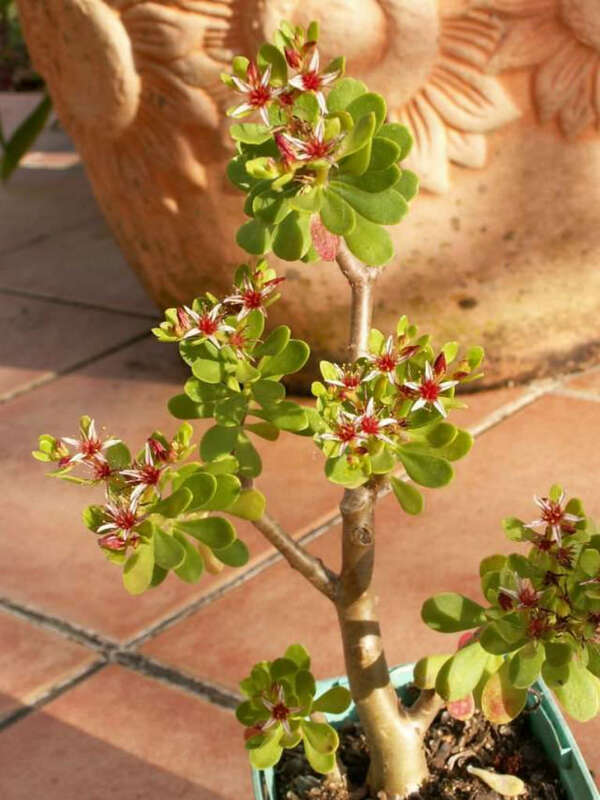 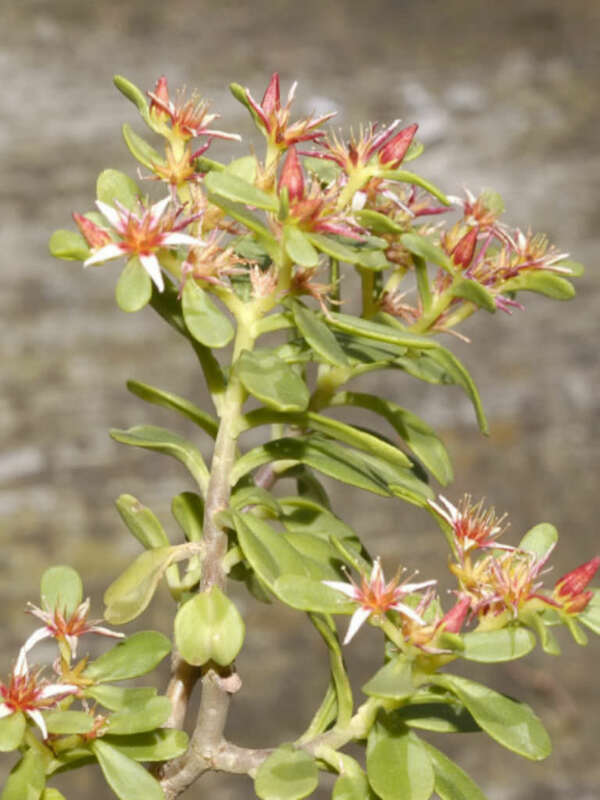 Sedum oxypetalum is a small, sometimes deciduous, tree-shaped, succulent shrub up to 4 feet (1.2 m) tall, with a stout trunk and upright stems with pale gray-green papery pealing bark. 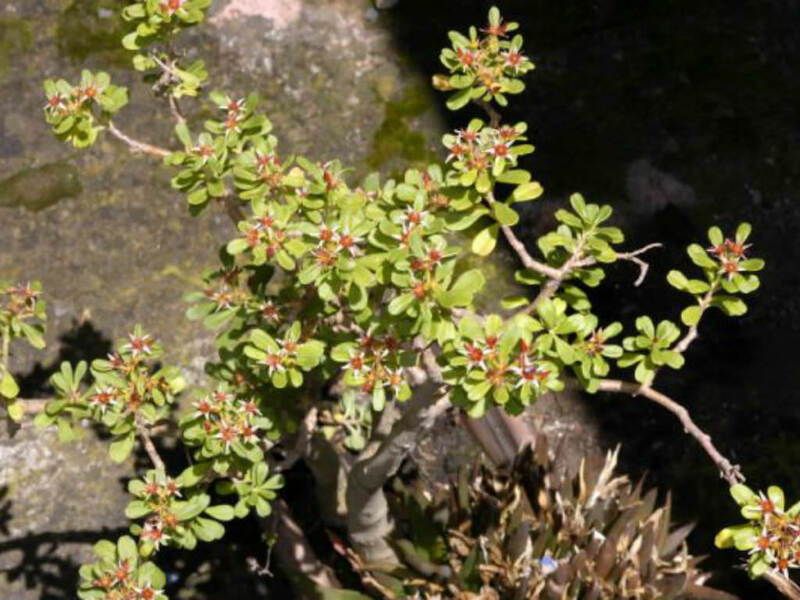 The stems hold small rounded obovate shaped medium green colored leaves with a small notch at the tip. 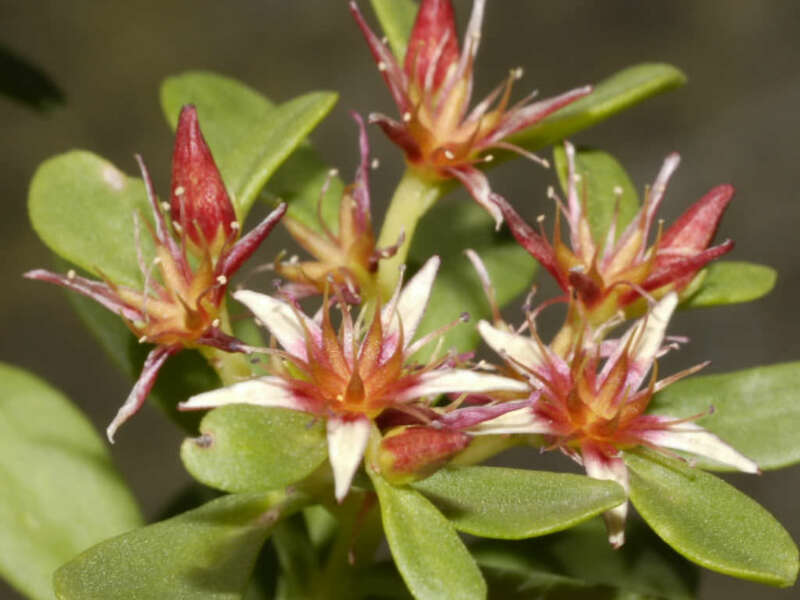 In summer appear the fragrant, star-shaped, very pale yellow with pinkish-apricot colored centered flowers.